The Glaetzer winery began with the release of Ben Glaetzer's 2001 Amon Ra Shiraz. With the 2004 vintage, Ben Glaetzer took over winemaking at Glaetzer and brought his own flagship wines into the fold. The Glaetzer philosophy focuses simply on the production of small-volume, super premium wines. The company holds a firm belief that the wines are made in the vineyard - a combination of the French notion of terroir combined with Australian vineyard site knowledge. The wines are produced from vines grown in well-drained sandy clay loam over a solid limestone pan. 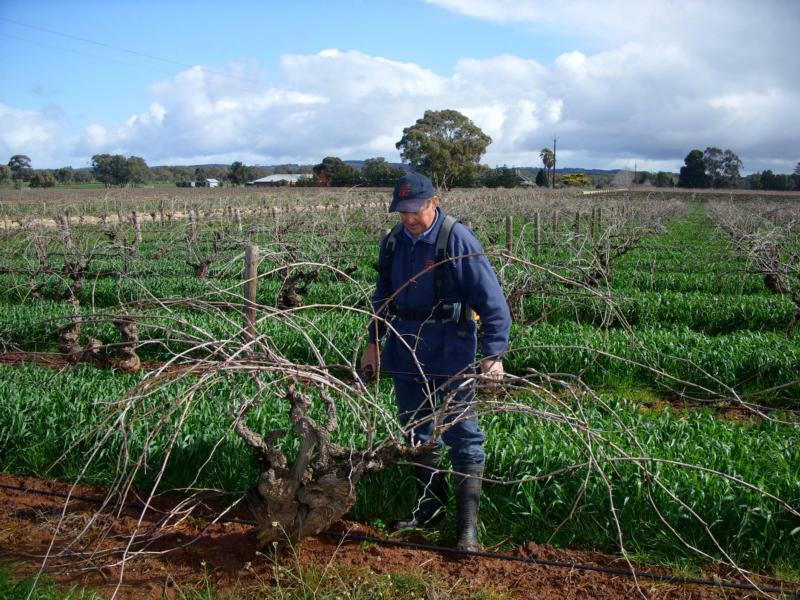 This particular soil, widely recognized as the best for dry grown Shiraz, is limited to the Ebenezer region in the northwestern part of the Barossa Valley. Yields are exceptionally low, with 1 to 1 1/2 tons per acre of Shiraz from some of the 80-year old vines being common. Glaetzer has exceptional fruit, and thus opts for a minimalist approach. Robert Parker 92 "The 2008 Amon-Ra Shiraz is muted and reticent aromatically. Firm and compact on the palate, it is not up to the level of recent vintages. Even so, it has plenty of spicy fruit, decent depth, and moderate length. It will evolve for a few years but extended cellaring will be risky.